Yesterday, we reported that Babachir Lawal was relieved of his duties as SGF by President Buhari and replaced by Boss Mustapha, The Director General of the Nigerian Inland Waterway. 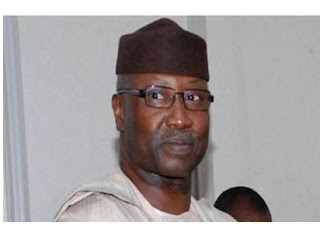 According to Punch, Junaid Muhammed, a member of the House of Representatives in the Second Republic has made known that the new SGF, Boss Mustapha is a first cousin to the former one Bachir Lawal. Mr Junaid Muhammed further said "Before you begin to celebrate the appointment of Boss Mustapha as the new SGF, do you know that he's in fact Bachir Lawal's first cousin?" The Presidency, who yesterday, confirmed the appointment of Boss Mustapha through it Special Adviser on Media and Publicity, Mr. Femi Adesina have not responded to the claim.